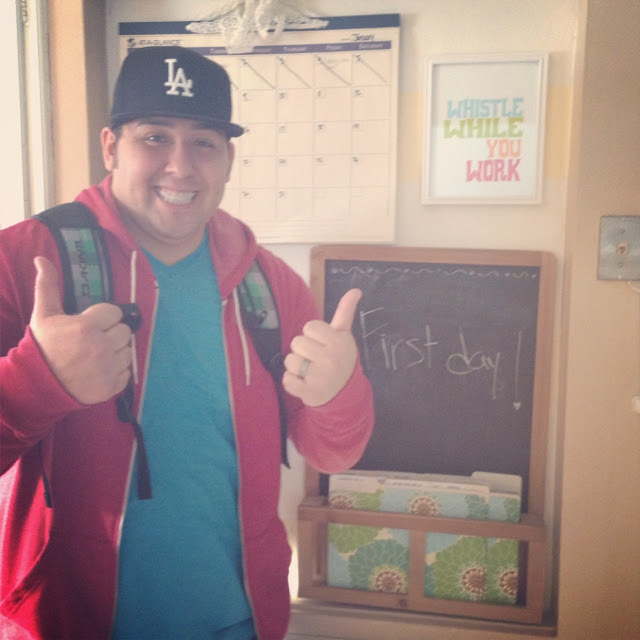 Monday was our first day of the Winter Semester, it's crazy how fast time flies! I'm only a few classes away from finishing my major and minors. asking when people should come over tonight. and I was just finding out a few hours before people were to come over. Good thing the house was already picked up and we had some food chillin' in the freezer! You know what's the worst thing ever? Going to a party when there isn't enough food. 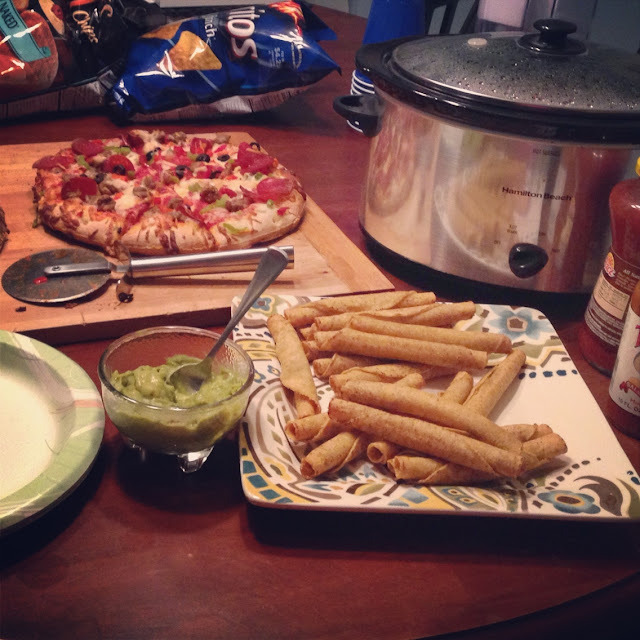 Digiorno pizza, 'lil BBQ smokies, chicken taquitos, and our friends brought some delish chips. It made for a fun/manly night & I just felt so domestic! Like I-can-cook-frozen-pizza kind of domestic. give yourself major props girl! i'm a college grad and i just learned how to make pizza rolls last night. i'll get "domestic" wherever i can take it.